In 1885, Count Dracula, after four hundred years' brooding in his Transylvanian Castle, came to London, intent on spreading the pestilence of vampirism to the heart of Victoria's Britain. The monster was defeated and destroyed by Professor Van Helsing and his stout-hearted companions, and the world was saved from further horrors. But what if Van Helsing failed, and Dracula's plan of conquest was successful... 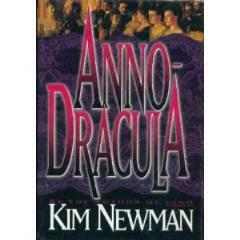 This panoramic novel of altered history and literary speculation combines horror, mystery, romance, politics, and wit as Kim Newman brilliantly reinvent the familiar world of late Victorian melodrama, intermingling famous historical and fictional characters while penetrating the fog to discover the shocking truths.